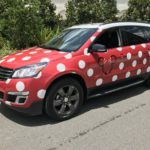 With the latest version of the My Disney Experience app, guests can now check-in for their stay at a Walt Disney World Resort through the app. This is in addition to the existing web check-in process. 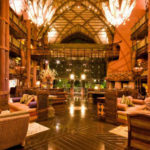 Guests can start the check-in process up to 60 days before their arrival, bypassing the need to visit the front desk. 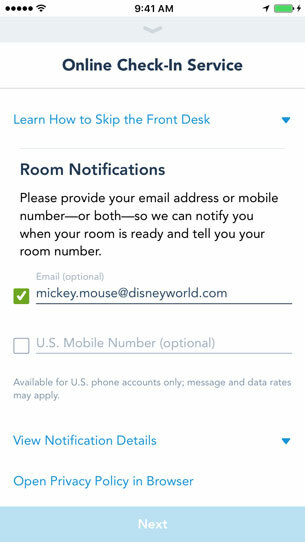 Guests complete their check-in by unlocking their room, when it is ready, using the MagicBands sent to them prior to their arrival. 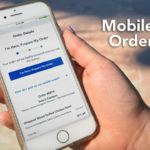 In addition, guests can make room requests, add credit card information and authorize charges, submit an estimated arrival time to help prompt room access, receive a notification when their room is ready and more through the app. 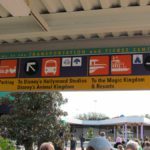 Guests can always stop by the front desk if they prefer to be assisted by either a front desk or concierge cast member.